The Subaru 4EAT transmission sale is going on now. Subaru built the first 4EAT transmission in the mid 80's for use in vehicles like the Baja, Forester, Impreza, Legacy, Loyale, SVX and XT. This 4 speed automatic can also be found in a few vehicles from the manufacturers Ford, Kia, Mazda and Mercury. Although this transmission has been around for a long time 4EAT problems have frustrated Subaru owners for quite some time. Problems with the electronics, especially solenoids and overheating are usually the two biggest concerns that can eventually lead to transmission failure. Our XP1 series is not a rebuilt 4EAT, every transmission has been meticulously built with upgraded parts that are designed to exceed the original manufacturers performance and reliability standards. With the we have addressed specific issues like implementing improved valve bodies and solenoids to ensure a stable electrical system. Every unit now comes with and XP1 lock-up 4EAT torque converter that has been built to improve fluid dynamics and efficiency. 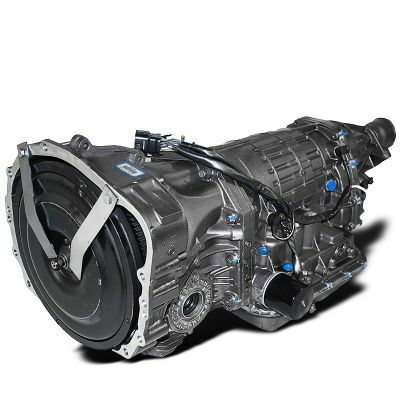 You won't find a better transmission at a better price, get yours while supplies last.